Punch 2 circles from white card stock with the scalloped circle punch and a “belt buckle” from gray card stock with the curly label punch. Both of these punches are from Stampin’ Up; there are other companies that have similar punches or dies if you can’t find these. Attach a strip of black card stock to a red card. Attach “belt buckle” to the center of the strip. Cut a square of black card stock and put in the center of the buckle. 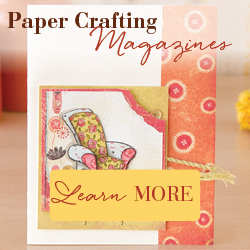 Attach the 2 scalloped circles to the card and glue a black button to the center of each circle.